Price Reduced for quick sale. Seller says make us an offer. Now presenting the perfect opportunity to live on acreage and with trees in the hidden gem of Douglas County, Franktown! 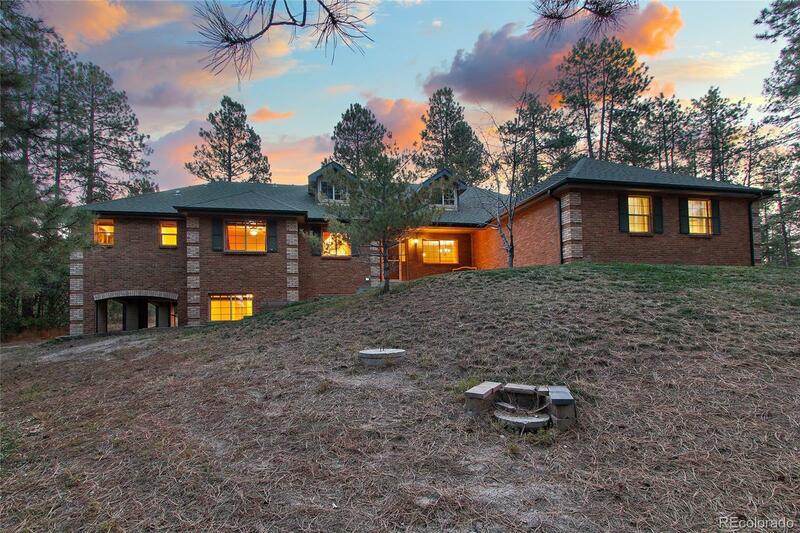 Boasting 4.5 acres with ponderosa pines, this 6 bed, 4 bath home has everything you need to call it "home" by the holidays! Featuring an open floor concept with hardwood floors, a floor-to-ceiling stone fireplace that anchors the spacious kitchen and a bright, inviting living room and formal dining room. A large main floor master, two bedrooms with a new jack-n-jill bath and additional 3/4 bath complete this home's ideal main floor living opportunity. This home is perfect for entertaining indoors and out with the new 900 sqft deck, huge yard, firepit and more! The expansive basement features three bedrooms, one of which has french doors perfect for the home office and mother-in-law suite is excellent for multigenerational families or for extra living and cooking space for holidays and entertaining.